I’m checking in today with a quick update as to where I am with my writing & other such progresses. Everything is on track for publication and I’ll also be announcing a call for ARC readers on Friday, so eyes open friends! The time is approaching! Also, I’m running a giveaway for a signed paperback of Eléonore (only for UK, US & Canada)! Here’s the LINK!! Those of you who’ve been following me for a while, might remember that I last NaNo I had started writing a project called The Desert Knight. i stopped working on it the day I hit 50k, and I haven’t touched it since. Heritage: I had to put it on hold recently, but I’ll be working on it on and off for the rest of the year, slowly converting it for an MG audience. Destinies Entwined: My fairy tale adaptation. I’ve begun writing it by hand again but haven’t had a chance to type it up yet! I think I’ve written a good 5k-8k this month. TPS (Novella): A Victorian gothic with ghosts, I finally finished outlining it and hope to write it in December. I am really excited for this one, friends! I am starting a new series here called, Reading the Craft which is all about lessons I learn about writing through the books I read. The first one I’m working on is Mastering the Middle Grade. I read alot of MG novels last month to prepare for fixing up Heritage and the patterns are incredible. I have quite a bit to say on character arcs and plot structure and theme, but is there something else you’d be interested in: i.e. worldbuilding, prose, specific plot points? Hope you’ve all had an amazing weekend! Any exciting news you’d like to share? Any good books to recommend? 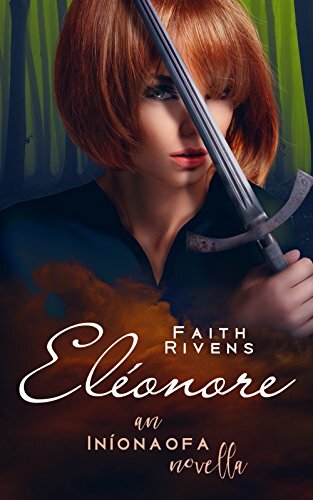 Eléonore | Special Edition | And a Giveaway!! I’ve been working hard lately not only on Heralding, but on a special edition of Eléonore with some exciting new features. It’s finally available today as an ebook on Amazon through KindleUnlimited!! The paperback will be releasing soon. In anticipation of it, I’m offering another chance to win a free signed copy. To enter, all you have to do is sign-up for my newsletter before Friday. If you’ve already subscribed, you are automatically entered. I’ll pick a winner over the weekend! Lots more exciting reveals are coming, friends. Thanks for following me on this journey so far. I am so greatly appreciative of all your support and encouragement.